Bookmachine: Bookmachine presents: A Burger Zine Release! Bookmachine presents: A Burger Zine Release! You are invited to the latest zine release at Bookmachine books + zines (located inside the Magoski Arts Colony) featuring the release of a burger-themed zine by English students at CSUF. 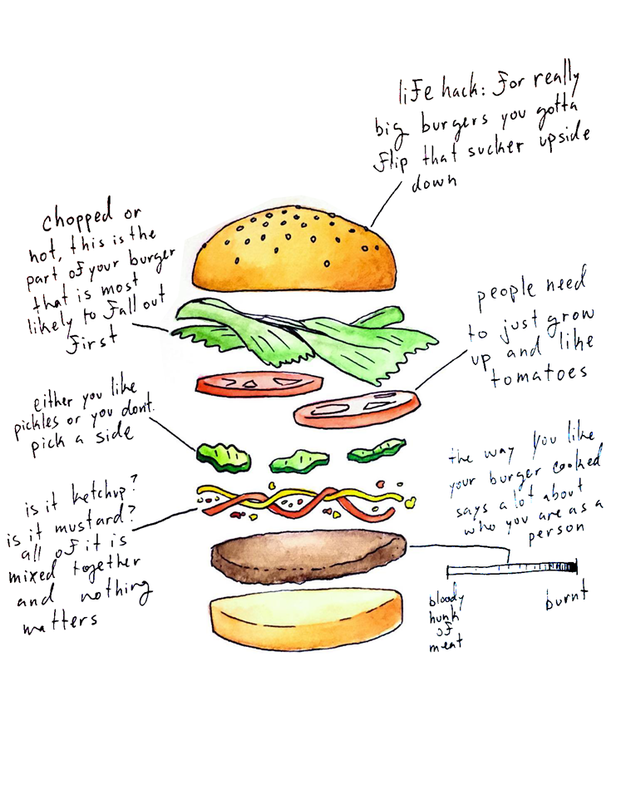 There will be zines for sale, and burger-inspired artwork. This event is this Friday, October 7th from 6-10pm during the Downtown Fullerton Art Walk. As always, this event is FREE and open to the public. What is a burger? A meaty patty between two buns. A veggie burger, a black-bean burger. A metaphorical (meat-aphorical?) burger. Are we even talking about meat? Is the meat implied? Who decides what a burger is anyway, a dictionary? A linguist? Metaphysics? (If Theseus took apart a burger and put it back... together…) Psychology, anthropology? Are burgers just people, people’s memories, people’s traditions and identity, a bit of nationalism, a product of regional tastes and availability? A sign of the times, or a relic of the past? Gentrification in motion or a cheap commodity? A delicious collection of molecules? We’re just messing around, we don’t know what a burger is. We’re just putting a bunch of thoughts together between two pages. 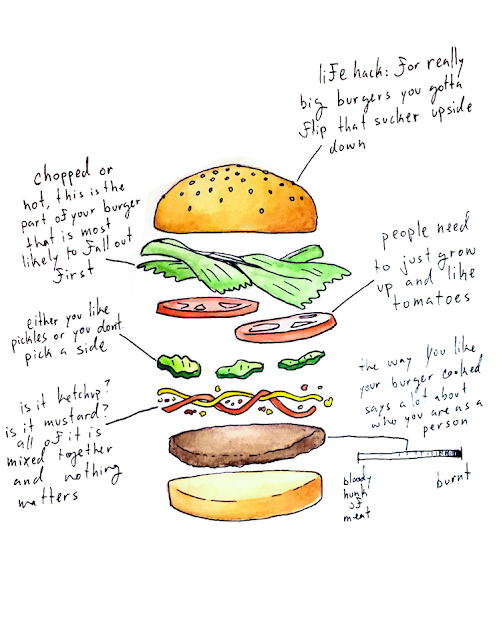 This zine all started with the idea of writing about our friends' favorite food memories, leading to this specific quest of deconstructing The Burger™. So just like we did, we hope you, die Bürger, spread this Burger out on the table, pick it apart, take out the parts you don’t like, ask for more of those you do, digest it, and eventually toss it somewhere. Bookmachine is located inside the Magoski Arts Colony.